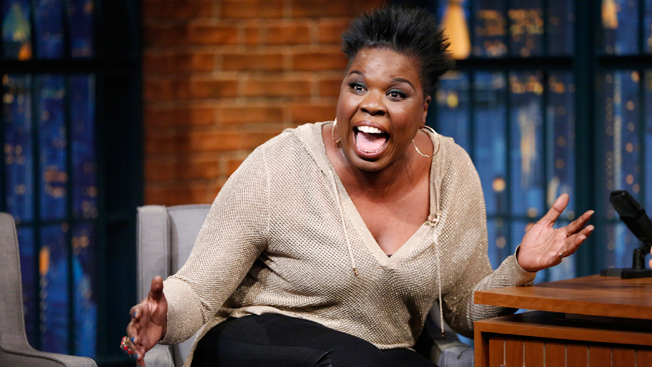 Leslie Jones is going to Rio. After several days of cheering on Team USA from her couch, the Saturday Night Live star will be heading to the games, joining NBC Olympics as a contributor. Jones has been live-tweeting her Olympics viewing experience, skirting NBC's own rigid rights-usage policies along the way. From gymnastics and tennis, to archery, cycling, rugby and more, Jones provides play-by-play as she records herself watching events on her TV and laptop. After NBC Olympics executive producer Jim Bell spotted some of Jones' early tweets, he invited her to the party: "You're officially invited to Rio. Want to come?" he wrote Sunday. Today, Jones accepted. Her work for NBC begins Friday. She will attend live Olympic events, including swimming, track and field, gymnastics, and beach volleyball. Until she arrives in Rio, you can expect Jones' sometimes expletive-laden posts to keep tearing up Twitter. "We're thrilled to have Leslie come to the Olympics," said Bell in a statement. "She's a member of the family, and her passion for the Olympics is remarkable." Jones joined SNL in early 2014 as a writer and was named a featured player during Season 40, beginning in October 2014.